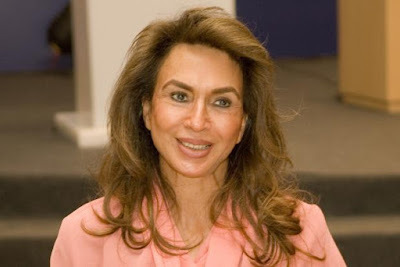 Parmeshwar Godrej, 70, known as the dynamic face of the Godrej clan, breathed her last at Mumbai's Breach Candy hospital following a degenerative lung illness. She is survived by her husband and Godrej Group chairman Adi Godrej, daughters Tanya Dubash and Nisa Godrej, and son Pirojsha Godrej. People who knew her are unanimous that Parmeshwar was in a league of her own in all aspects of her life -as a wife, mother, grandmother, friend, or philanthropist, and that she made an impact on all fronts: family, office and social. A socialite, who regularly hobnobbed with international celebrities such as Goldie Hawn and Richard Gere, Parmeshwar always encouraged her children to fly high but retain their roots to family and Godrej values, her close friends said. Parmeshwar had in recent years stepped back from the limelight owing to her lung problem and had to stay away from pollution. Born in a Sikh family and one of Air India's earliest hostesses, Parmeshwar's biggest strength was her sense of self. With an artistic bent, Parmeshwar dabbled in several creative businesses, from designing costumes for Bollywood to decorating homes. Parmeshwar was active in the Godrej group till last couple of years with her aesthetic and design contribution in Godrej Properties and Godrej Consumer. Parmeshwar, known for her A-list parties, love for the beret and her Hermes bandage dress, also worked for AIDS awareness through the Heroes Project, an initiative she launched in 2004 with Hollywood actor Richard Gere and with support from the Bill and Melinda Gates Foundation and Clinton Global Initiative.